Most of the people like to use the Expensive MacBook Pro 15 for personal or business purpose. They spend lots of money to buy a MacBook but most of them don’t care about the safety and security of their MacBook Pro. They use normal bag or backpack to carry their MacBook which may damage it easily. So you must choose a best Backpack for your MacBook Pro 15 which will save your MacBook from any kind hit, physical damage and safe from rainy, snow or bad environment. So here, I’m going to share some best Backpacks for MacBook Pro 15. All backpacks in this list come with various features, made of high quality materials and off course you can buy any backpack at a reasonable price. 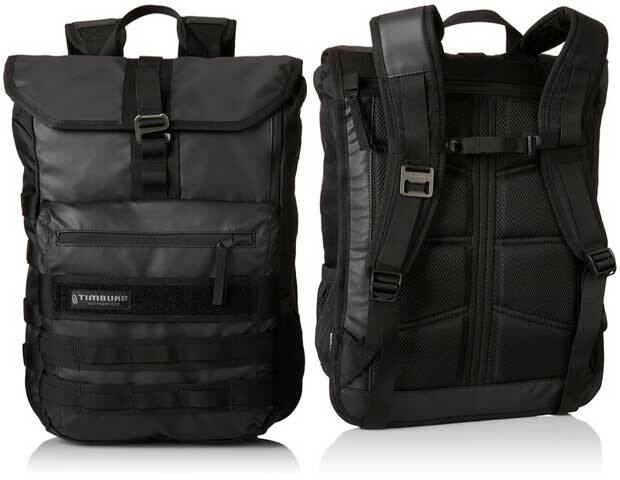 These backpacks also perfect to carry MacBook Pro 13 and MacBook Pro 17. So let’s check the list and get your favorite one now. 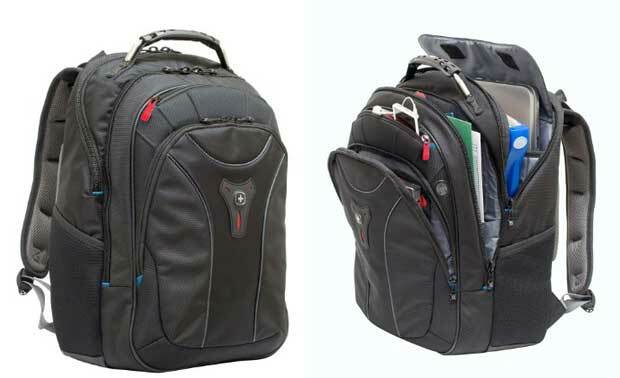 The Case Logic DLBP-114 is a lightweight and simple designed laptop backpack which comes with various features. This is an ideal backpack to carry MacBook Pro 13 and 15. The padded and dedicated laptop compartment fits up to 14 inch screen size laptop and MacBook Pro 13 or 15. The large main compartment comes with large packing capacity with well organized features. The front panel comes with several pockets, pen loops, business card holder, key fobs etc. Overall, the Case Logic DLBP-114 is a perfect backpack for college students and professionals to carry their laptop and essential documents. Looking for a large size backpack to carry your 15 inch MacBook Pro and essential contents when you go for a personal or business trip? 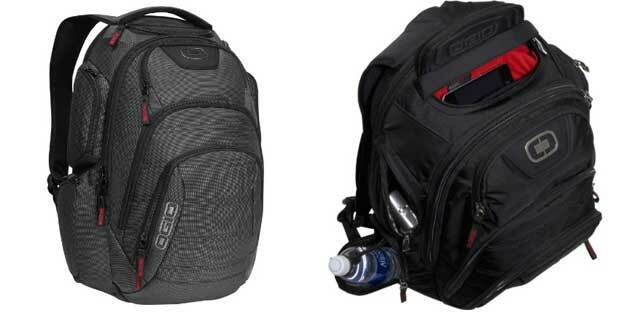 Then the Thule EnRoute Strut Daypack for 15-Inch MacBook Pro (TESD-115) is ideal one for you. 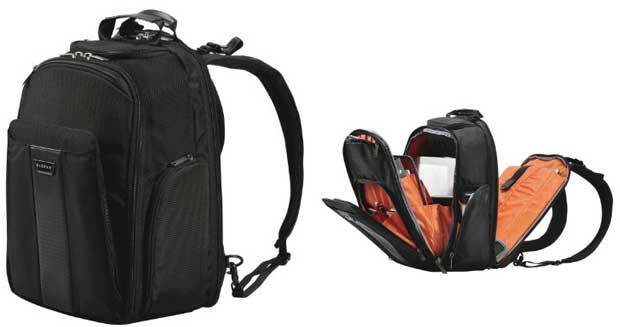 The backpack comes with well-organized main compartment with large packing capacity. There is a separate and padded laptop compartment in the main compartment and a pocket for iPad or Tablet available in this backpack. The laptop compartment keeps your laptop safe with the help of heat-molded and crush-proof technology. 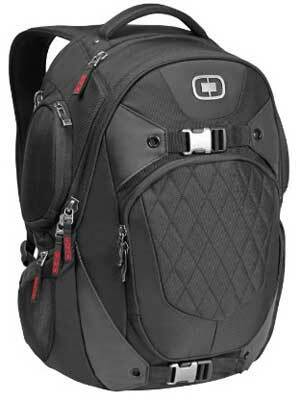 The adjustable and padded shoulder strap helps to carry the backpack for a long time with huge weight. 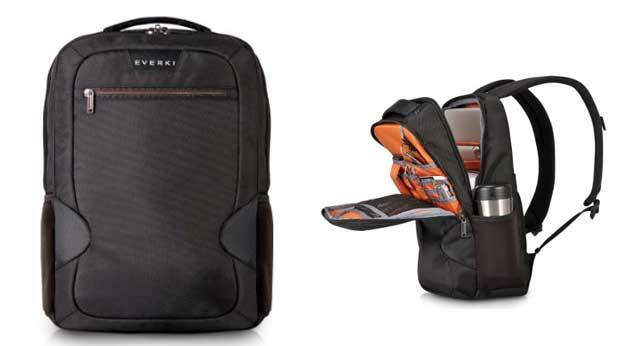 The Everki Studio Slim Laptop Backpack is an ideal Backpack for MacBook Pro 15. The backpack comes with stylish and slim design for fashion loving people. You can carry lots of content through the backpack. The dedicated laptop compartment fits up to 14.1 inch laptop or 15 inch MacBook Pro. The laptop corner guard system of the backpack helps to protect your MacBook from any kind physical damage or hit. The well-organized main compartment helps to pack and unpack your contents easily and quickly. The padded and adjustable shoulder strap with 5 points balance technology provides maximum comfort to carry the backpack. 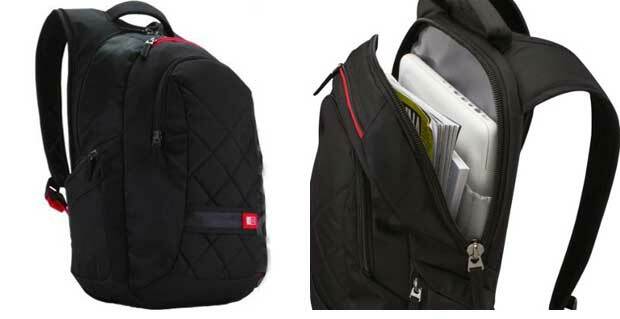 The Timbuk2 Spire Laptop Backpack specially designed for the person who loves to use Apple’s Products. The Timbuk2 Spire comes with several features to carry MacBook Pro and iPad easily and with maximum protection. There is a padded and dedicated compartment inside the backpack to carry 15 inch MacBook Pro and a separate pocket for iPad. As the backpack comes with waterproof feature, so you can carry the backpack in rainy, snow or any bad environment. This slim and stylish backpack available in 3 different colors: Black, fatigue and blue. If you are a regular traveler and need to carry little contents during travel ling, then the SwissGear Carbon II Black Notebook Backpack is perfect one for you. 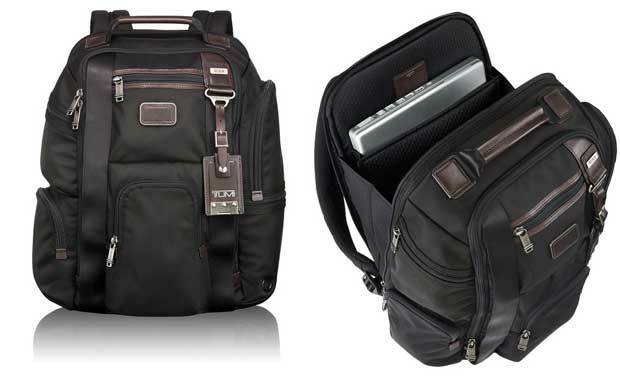 This is a small to medium size backpack designed for travelers to carry their 15 inch MacBook and essential documents. 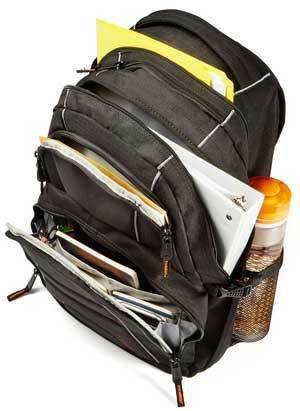 The backpack is also ideal for students and professionals for everyday use. The multifunctional main compartment comes with a padded laptop compartments and well-organized feature. The zippered front panel comes with pen loops, key fobs, business card holder and several pockets for tools and accessories. 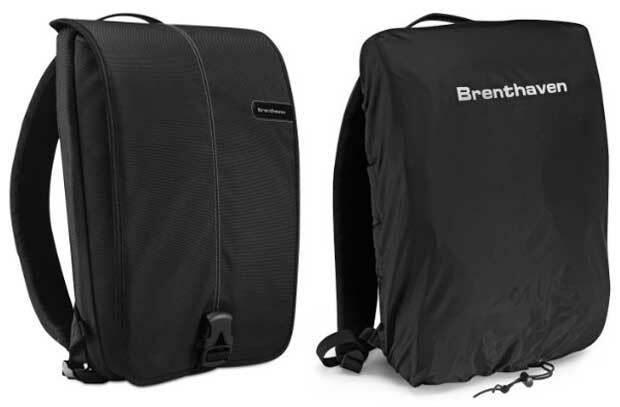 The Brenthaven 2244101 ProStyle Slim Pack is another ideal Backpack for MacBook Pro 15 inch and 13 inch. The padded laptop compartment of this backpack comes with high density foam protecting system to keep your MacBook safe and secure. The water resistant feature also helps to keep your contents safe from rain, snow or dust. The side entry laptop compartment ensures quick access to your MacBook and you can take off without removing your backpack from your shoulder. There is also stash pocket and other functional pockets available in the backpack for cell phone, gadgets and accessories. 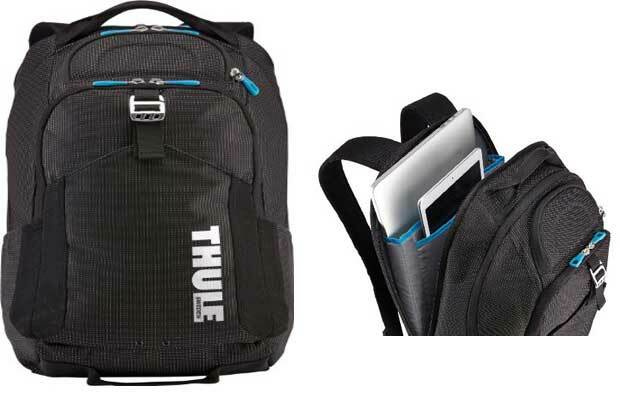 The TCBP-417 is another awesome backpack from Thule to carry your 15 inch MacBook easily and safely. The Thule Crossover TCBP-417 32L Backpack is a large size backpack which you can buy to make your travel life easy and comfortable. The large main compartment comes with well-organized and huge packing capacity feature to carry everything you need. The padded and dedicated laptop compartment comes with crush proof technology to protect your 15 inch MacBook from any kind damage or hit. There is also a separate compartment available in the backpack to keep your sunglass, cell phone, media player and soft touching gadgets & accessories. 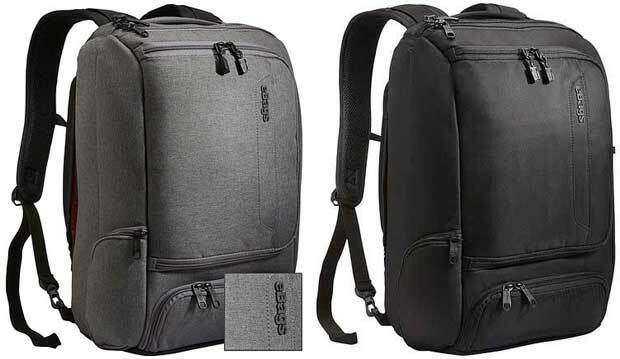 The Ogio Renegade RSS Laptop/Tablet Backpack is a perfect Backpack for MacBook Pro, which comes with dedicated, padded and top loading laptop compartment. The amor protected laptop compartment keeps your laptop safe. There is a separate padded sleeve available in the backpack for iPad or Tablet. The deluxe organizational main compartment comes with easy to access feature and large packing capacity. In the top of the backpack, there is a quick access phone pocket and padded pocket for soft gadgets or sun-glass. The shock absorbing and padded shoulder strap helps to carry the backpack easily and for a long time. The Everki Versa Premium Checkpoint Friendly Laptop Backpack is another great travel backpack from Everki which is also perfect to carry 15 inch MacBook Pro. The backpack comes with checkpoint friendly feature to pass the airport security area easily and quickly. There are also several compartments and pockets available in this backpack to carry lots of contents, files, documents, tools and accessories. The padded laptop compartment, corner guard protecting system and water repellent nylon exterior of this backpack helps to keep your contents safe and secure. 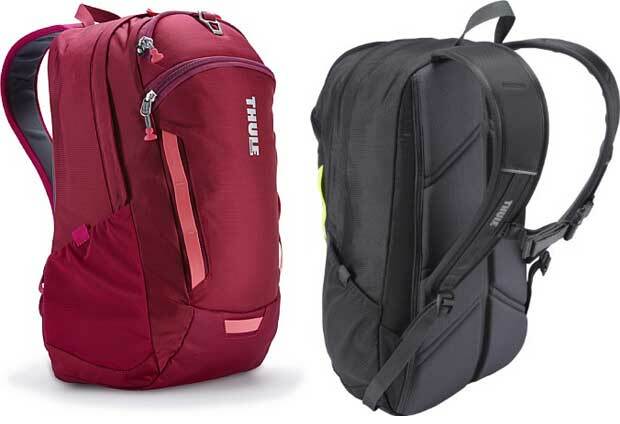 The Tumi Alpha Bravo Kingsville Deluxe Brief Pack&Reg is my last recommended Backpack for MacBook Pro 15 which also comes with multiple functionality and large packing capacity. This is a heavy and durable backpack which is also designed for travelers to make their travel life easy and comfortable. Some attract features of this backpack are, dedicated and padded laptop compartment, separate iPad or Tablet sleeve, side water pocket, durable top handle, quick access top zippered pocket, padded shoulder strap etc.